This supplement promotes quality sleep - ALL NIGHT! no doctor would ever dream of! We've just made a remarkable connection that could easily change how well, how long, and how peacefully you sleep. These BOGUS “sleep solutions” could be the real culprit behind your fitful sleep! In fact, we've built a reputation for finding, perfecting and delivering them directly to you, thanks to the fact that we're constantly on the look-out for breakthroughs in natural health. We introduced you to Gluco-Control Plus - a blood sugar powerhouse that addresses your liver’s role in blood sugar control. YES, that's right your liver! And, the mental 'marvel' that's been shown to quickly boost your working memory - in less than an hour! And we brought you joint pain, prostate and heart solutions that REALLY work! You just need MORE of it! All that time soaking in the tub increases the heat in your body - and triggers the tiny molecules - heat shock proteins. These are nature’s answer to excess heat and even free-radical stress. In fact, exercise and intense diets can trigger them as well - which is what brought them to our attention. They are specifically designed to come to your body’s rescue, serving as a repairman for damaged proteins and a potent anti-ageing agent. That could be a part of the reason why exercise and even calorie restrictive diets are showing such promise in anti-ageing studies. When they’re working in high gear, the effects can feel soothing, like a hypnotic twilight, working to calm your mind so your body can repair. What if there was a way to trigger the release of even more heat shock proteins in your body? But you can’t always workout to the point of exhaustion. And calorie restrictions are extremely difficult and not made for everyone - especially just to get a good night’s sleep. In a world of teas, lattés, energy drinks, and other stimulants, L-theanine works overtime to restore balance. Animal research shows L-theanine neutralises the speedy and chaotic effects of caffeine. Even more interesting, researchers have shown forms of L-theanine can help you sleep better - without the tossing and turning that many define as having a bad night’s sleep. L-tryptophan is an amino acid that interacts with two brain chemicals that are important for a restful night's sleep, as well as the timing of your biological clock’s sleep-wake cycle. It increases the neuro-transmitters, serotonin and melatonin. Together, these chemicals in the right quantities, at the right time, not only promote sleep, but also improve sleep-quality.And, of course, this means, you can wake up every morning feeling like you've had a full night's rest! In one study, researchers found that magnesium also helps decrease cortisol, the 'stress hormone' that can keep you up at night - tossing and turning. It also helps your muscles relax which gives you that calm 'sleepy' feeling that helps you unwind after a long day. If within 60 days, you don't feel SleepLogic has improved the amount and quality of sleep you get every night… simply return your unused portion (even empty bottles), and we will refund every cent of your purchase price. So you can stock up now without worry and take advantage while supplies last on this brand new breakthrough. All you have to do is send back the unused portion for a full refund of your purchase price. It’s time to reacquaint yourself with what a FULL NIGHT’S SLEEP feels like and how it can change your day. 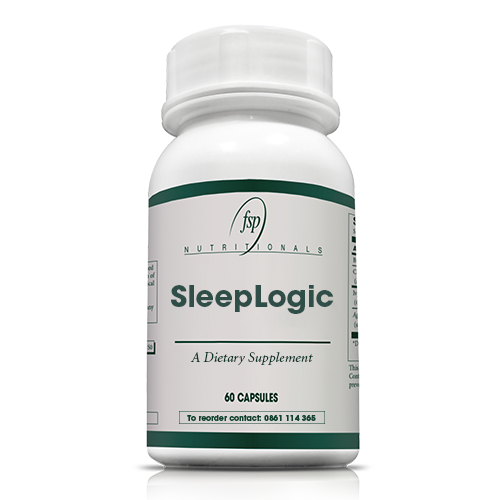 It’s time to experience the sweet relief of SleepLogic for yourself. So please don’t wait on this. Just fill in the form below to get started now and start ENJOYING sleep again. SleepLogic doesn’t give you that groggy feeling in the morning that other sleeping tablets do. Anytime within 60 days - we are so eager to unleash this breakthrough, we're making the decision as easy as possible for you (like everything else about this formula!). If you ever question the worth of FSPNutritionals' Sleep Logic in your life (and you won’t after experiencing it), justreturn your unused portion (even an empty bottle) and we’ll refund your purchase price. That’s it. It can't get any simpler.